It really does not matter which political you support or what ideology you practice and preach, first you are the independent and patriotic inhabitant of your beloved country. So it’s the right time to show your deep and sincere love for your country through your decor with some patriotic gestures. Because elections would come and go but you would always be the proud to be the American or what ever country you belong to. So here we have some really fine suggestions for you with which you can make your walls speak volumes of unique style statement adding a lot to the decor. 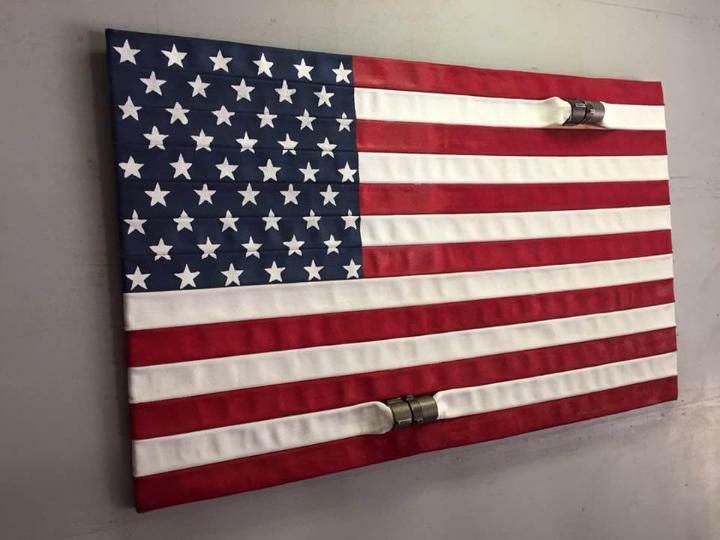 This is DIY pallet flag for wall art that has been prepared from the amalgamation of pallets and a flag. 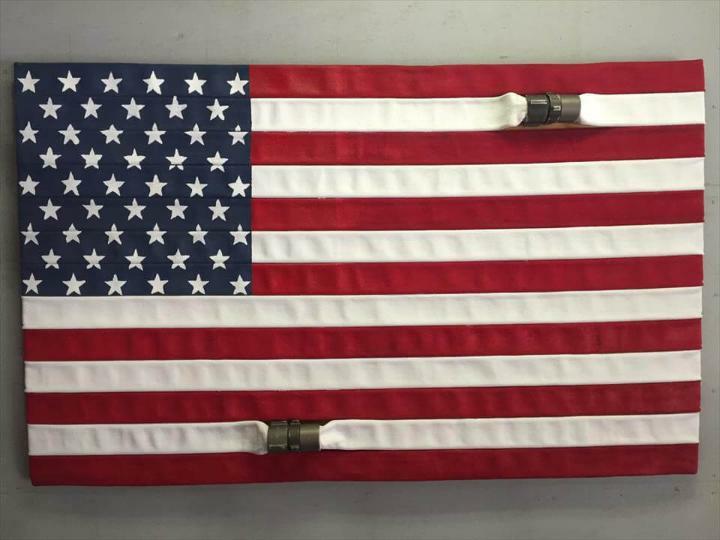 Pallet skid has been decomposed into a spacious pallet plank which has been covered by the American flag turn out to be a very exquisite piece of wall art. Mount it on the walls of your living and salute this flag daily for letting you live a free, proud and independent life. 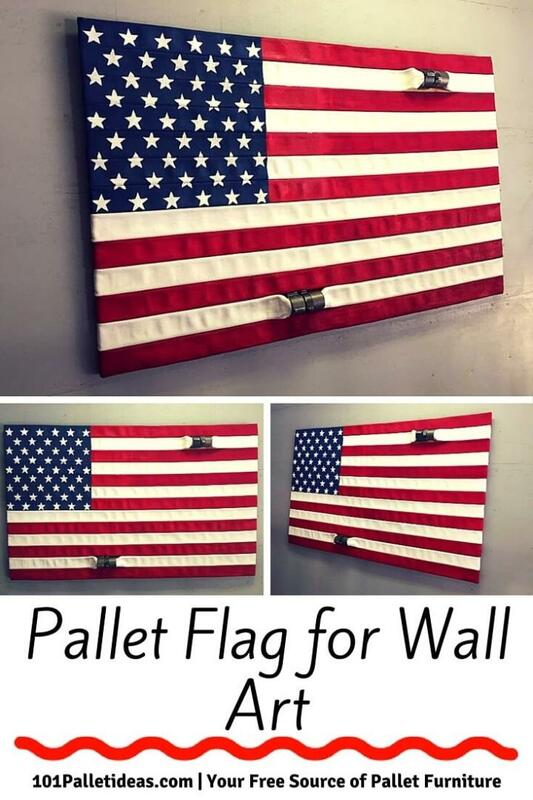 If you are looking for some awesome and unique ways of styling your home decor then let me get your attention towards this pallet flag wall art that would add a lot to your wall decor and overall decor of the house as wee. 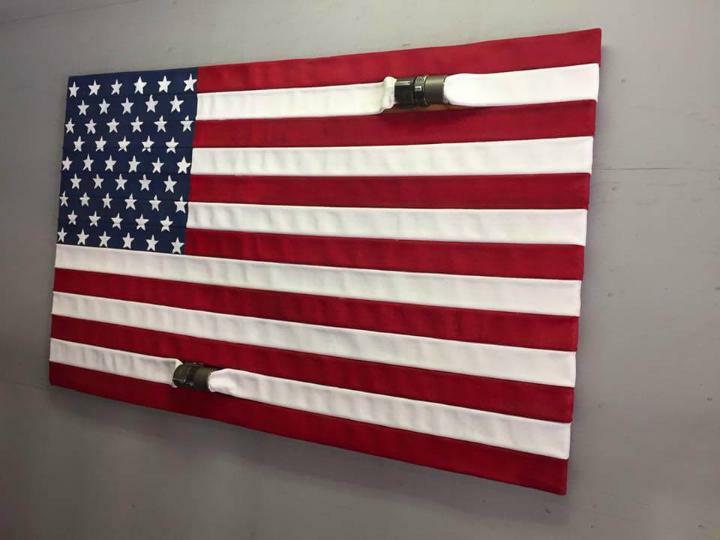 To possess this flag wall art for your empty and vacant wall you need just a pallet plank and a flag which would cover the whole pallet plank, you can alsa paint the flag on the plank for more realistic art piece gain. It can be mounted on any wall of the house which you think needs to look decorous like bedroom walls, living room walls and the walls of your hall.So do copy the idea to refresh your patriotic feelings daily.